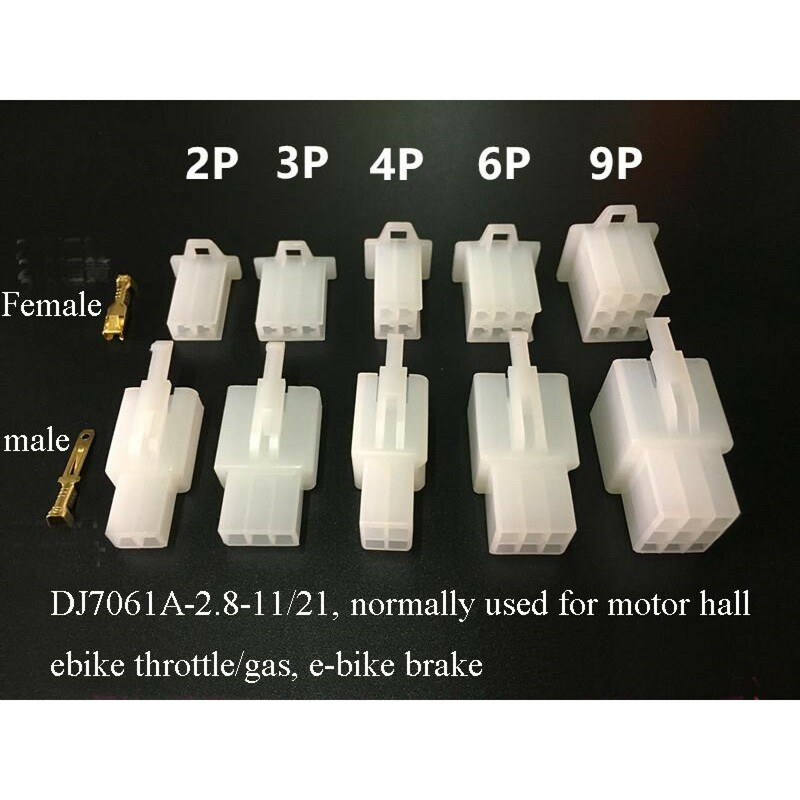 e-bike motor hall connector DJ7061A-2.8-11/21 male/female plug; this plug is normally used for motor hall, ebike brake, e bike gas/throttle end connection. 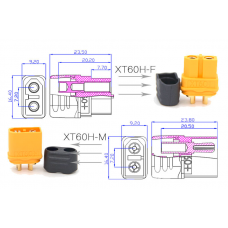 Plug sping and male tab are included. 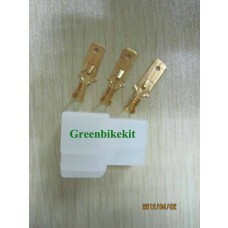 Plastic housing; Contacts are included. 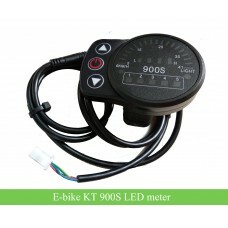 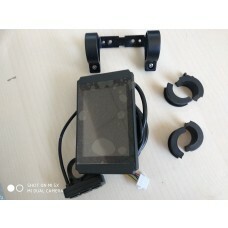 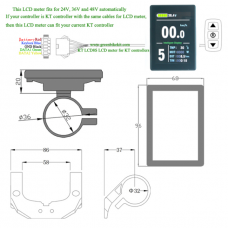 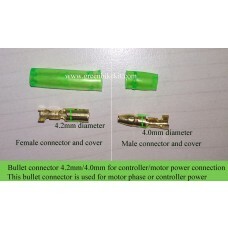 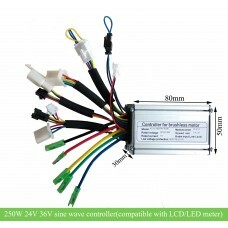 Review "e-bike motor hall/ throttle/ ebrake connector DJ7061A-2.8-11/21 male/female plug"